A weekend job for an average-sized room. 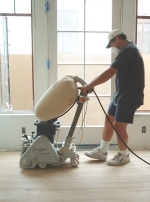 Make sure you understand how to operate the sanding machines. And follow the instructions for the application of stains and sealants - particular the drying times. Be systematic, measured in your work - and steady yourself for the noise and dust! Consider your neighbours by working during the daytime and telling them when you will start the work. 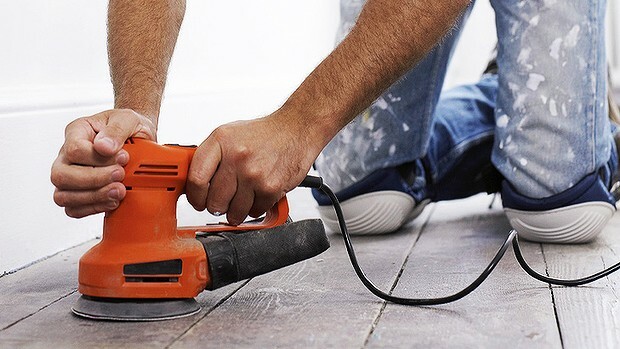 Hire a floor and edging sander. And buy a selection of sanding sheets on a sale or return basis. For a medium-sized room, select ten coarse sheets, five medium and five fine. 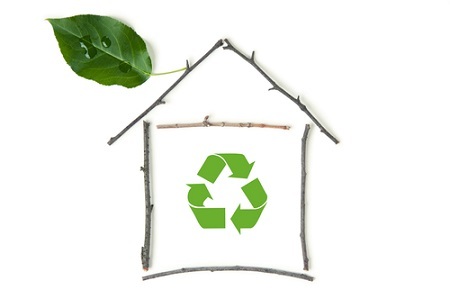 · take up and discard old floor coverings. · remove pictures, curtains and as much of the furniture as possible. 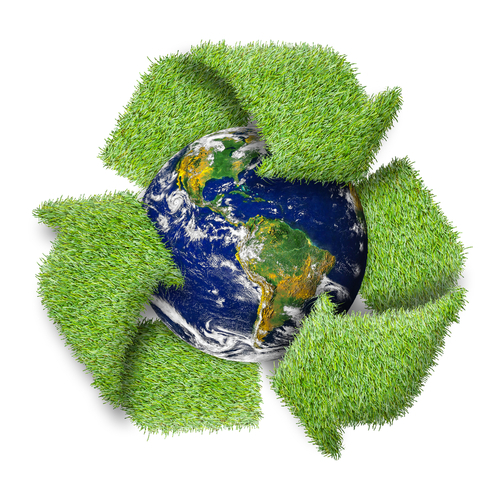 · cover anything left in the room with dust sheets. 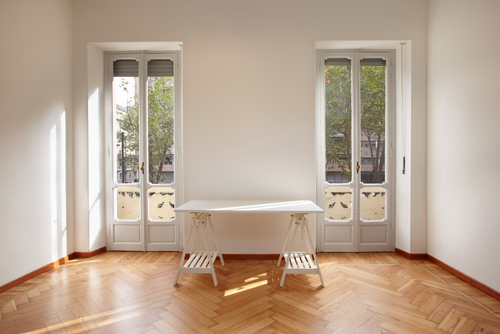 · open windows and exterior doors. Help prevent the spread of dust by sealing around the internal doors with masking tape. Make sure every item for the job is in the room! Damaged or rotten boards can be prised up with a cold chisel. Drill small clearance holes in each corner of the board to stop the wood splitting. Screw into place - with each screw at least 2mm below the surface. This is a matter of personal taste: small gaps add to the character of a floor - and often appear as a floor contracts during the winter months. Large gaps can cause draughts and spoil the look of the floor. Fill these with a sliver of timber glued and hammered into place. Use wood filler for knot holes and minor damage. Use a nail punch and work methodically across the floor. Work diagonally across the boards with the floor sander. 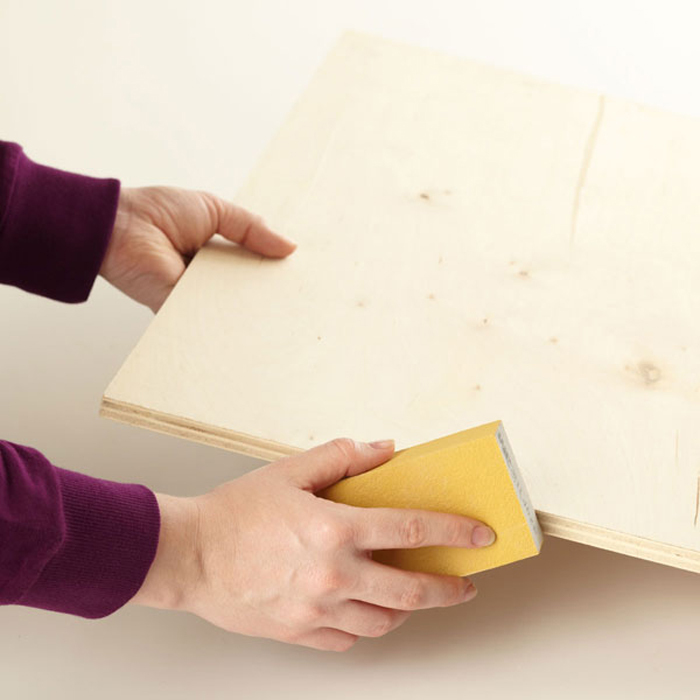 For unstained boards in good condition, start with the medium-grade sanding sheets. Otherwise, use the coarse grade sheets. Sand diagonally across the boards. Move the machine slowly and continuously across the room to prevent hammer marks. Overlap each strip on the return pass. Crisscross the room in the opposite direction to remove deep stains. sheets to sand along the boards in the direction of the grain. Finish off with the fine sheets in the same manner. Use the round edging sander. Begin with the coarse discs and work through the grades of abrasive sheets in the same way - as close to the skirting boards as possible. 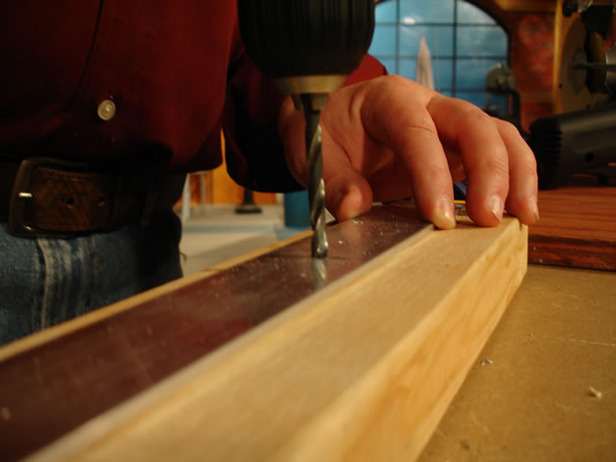 Use an old chisel to scrape dirt out of the corners. Small and awkward areas may require some hand-sanding. cloth dampened with white spirit. Wear soft-soled shoes to protect the unsealed floor. An option if you require a change of colour to match the room’s decor. Use a timber stain and apply steadily over the whole floor. Nb: coloured lacquers are available but are best avoided. They are difficult to apply evenly - and wear allows the entry of dirt and subsequent discoloration. The bare surface now needs protection from wear and tear. Use paint, lacquer or hard wax oil. All have differing qualities depending on your needs. 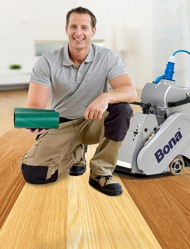 Brush or roller on at least two coats (three for hard-wearing areas such as hallways) in the direction of the grain. Leave to dry overnight before replacing the furniture.